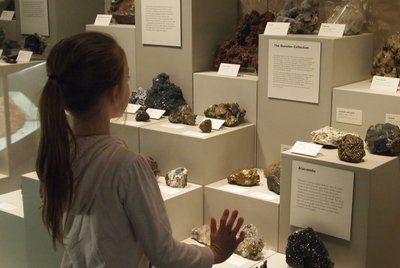 The South Australian Museum has always been a place to explore and learn about ours and others history. The museum researches their own collections and preserves important evidence of our past; it's a great educational experience as well as a fun one. When you walk inside you're greeted by the giant 18m sperm whale that keeps watch over the museum's cafe. You can check in any bags that you don't want to carry with you, or you can pick up a map from the information counter. 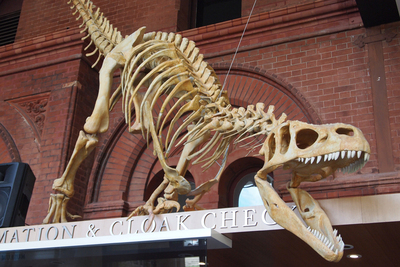 One of the first places you'll visit is the World Mammals Gallery. 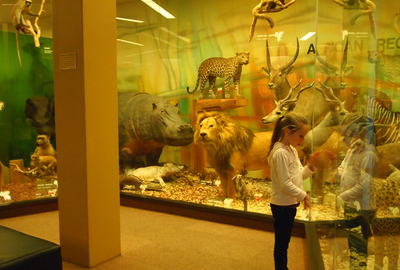 Kids can get a closer look at mammals from all over the world. From elephants to gorillas; the exhibition isn't very interaction but it's still interesting. Make sure you stop with the kids to check out the lion in it's own case. It's tradition to wait until you can spot his tail move. There are more animals in the Marine Invertebrates Collection where kids can crawl through to a special 'reef' viewing window or check out the giant tooth of a prehistoric megalodon. This room will entertain kids for a while. Or there's the replica 11m giant squid that is as tall as a few flights of stairs.. If you're brave enough you can step onto the glass floor and peer down into the murky depths below. 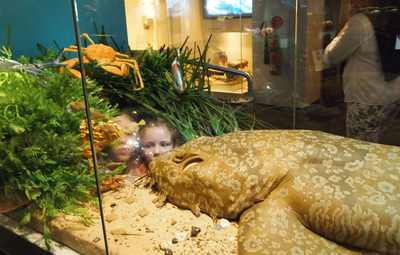 The Biodiversity Exhibition has a great collection of interesting animals from all over Australia. 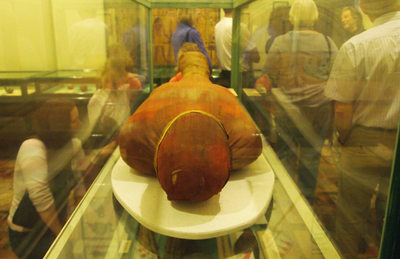 A clear favourite of the museum is the Egyptian Collection. It's a small pokey room, but it houses two actual mummies as well as hundreds of artefacts from Egypt. The Aboriginal Cultures Gallery is especially good when kids get to visit as part of a school trip, they get to interact a lot more with the exhibits. 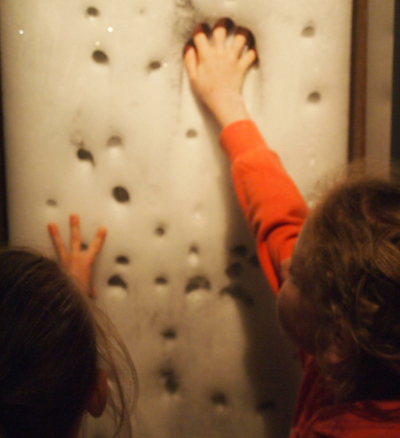 On top of this kids can spot dinosaur bones, find glowing stones and precious minerals, or stick their fingers in the ice wall. It would be great if there were a few more interactive exhibitions, but the museum still has some great things to keep kids entertained time and time again. Their school holiday program for kids engages children in history and allows them to get into science and culture. This program is free and is a great way to get your kids to get more excited about the world around them. This is one of the few spots where it's worthwhile stopping by the gift shop. A lot of the toys are designed to give kids an ongoing interest in science or history. You can buy crystal trees for them to grow at home, dinosaur eggs that 'grow' into dinosaur toys, or even get some mineral samples. You can also stop by the cafe for a bite to eat, or bring your own food and have a picnic on the lawns out the front. If you're in the area you can check out the Art Gallery of South Australia as well, or just let the kids play in the fountains for a bit of easy entertainment. What's the best family fun for NYE in Adelaide? Where's your favourite family food court stop? 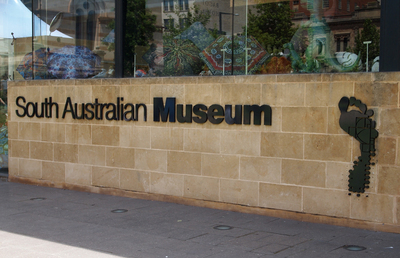 What's Adelaide's most entertaining museum?